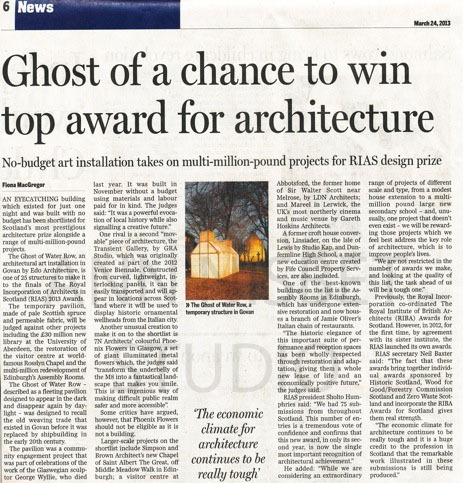 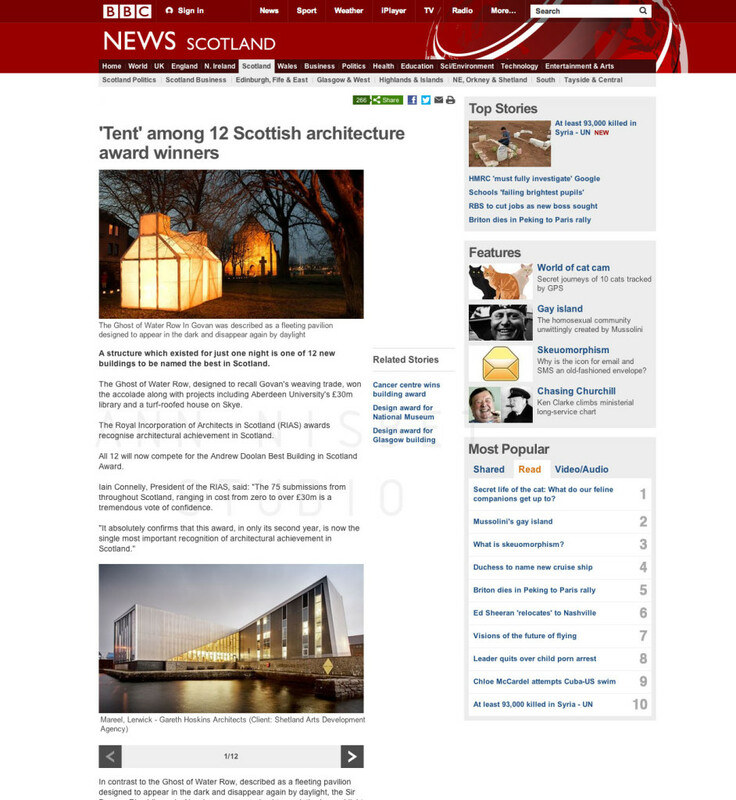 The Ghost of Water Row project featured in the Scotsman Newspaper in an article about the project being short listed for the RIAS Architecture Awards. 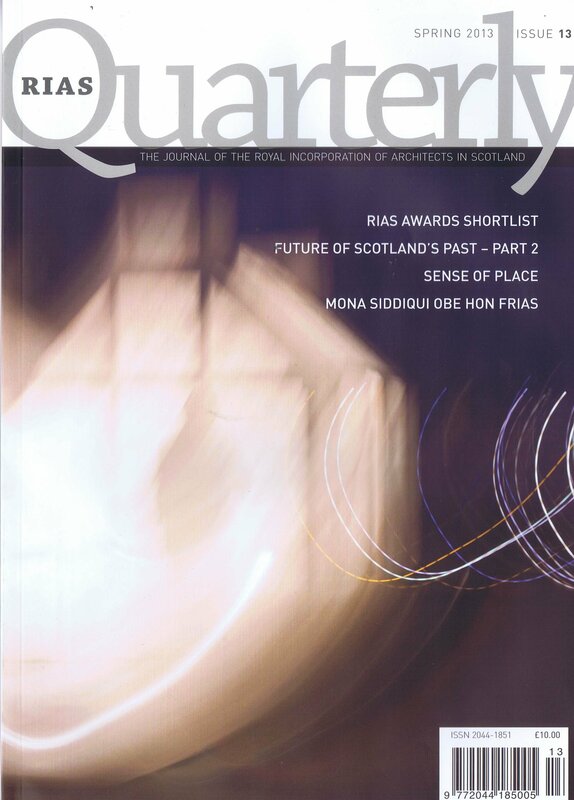 The Ghost of Water Row project features on the front cover of the RIAS Quarterly magazine’s Spring edition. 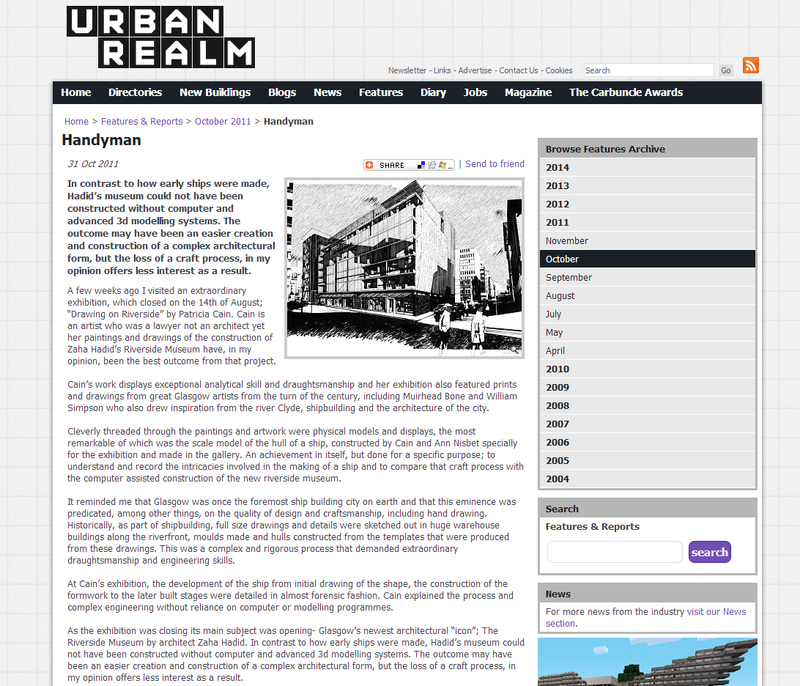 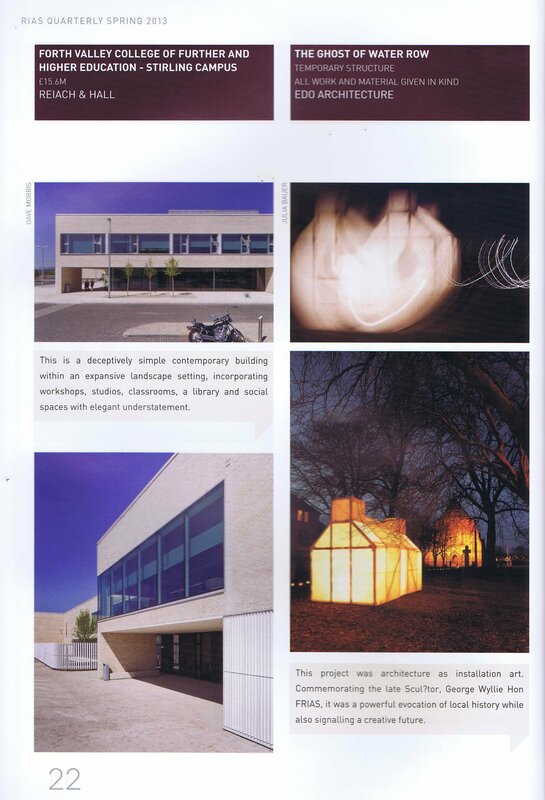 Articles inside the magazine on all projects shortlisted for the RIAS Architecture Award. 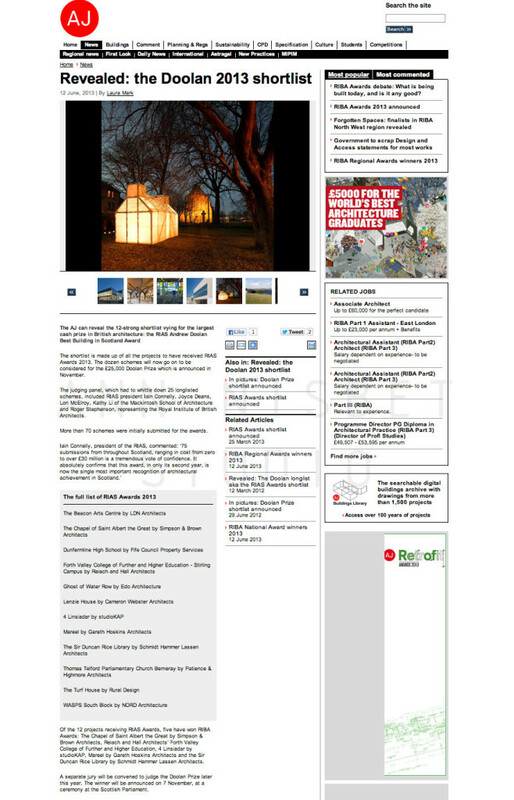 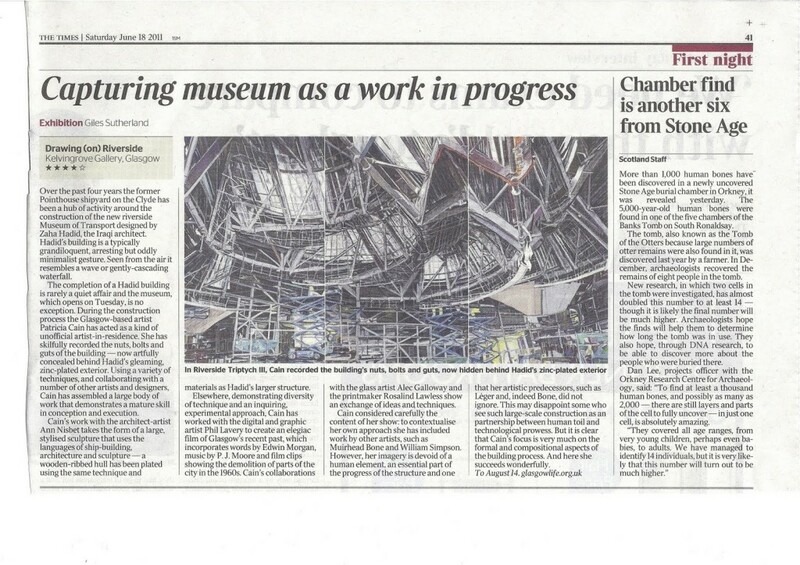 Four star review of the “Drawing (on) Riverside Exhibition in the Times Newspaper. 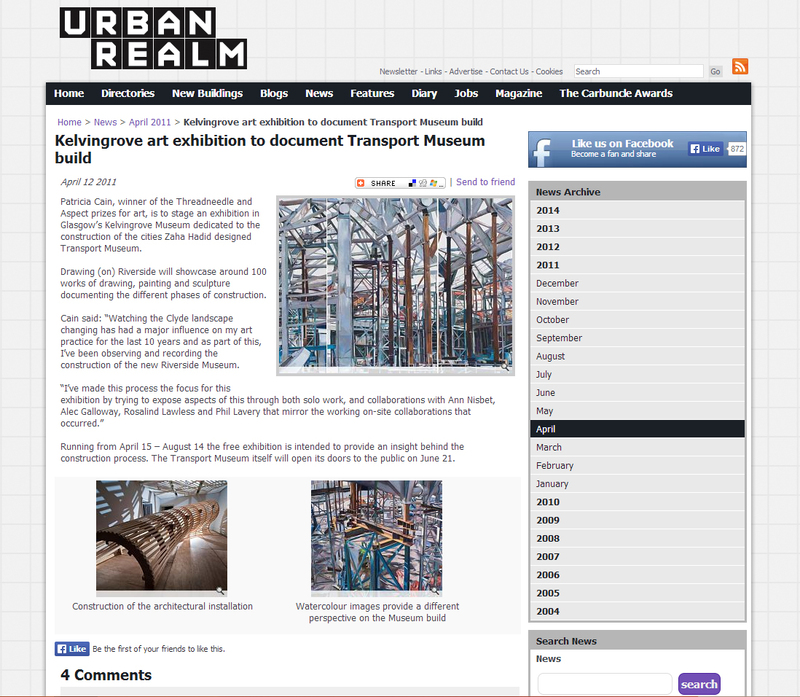 The exhibition at Kelvingrove Art Gallery included our Propping Through Riverside” Installation, which was created in collaboration with Artist Patricia Cain.